This is from an earlier article I posted back in 2012, but the facts haven't changed. We won't find most of this on the evening news. I hope you have time to read and watch, and if God so directs, to help. You might not want to read this article if you have a weak stomach. Most Americans have absolutely no idea what is going on in the dark corners of America, and when people find out the truth it can come as quite a shock. Many of you will not believe some of the things Americans are doing just to survive. Some families are living in sewers and drain tunnels, some families are living in tents, some families are living in their cars, some families will make ketchup soup for dinner tonight and some families are even eating rats. Some homeless shelters in America are so overloaded that they are actually sending people out to live in the woods. As you read this, there are close to 50 million Americans that are living below the poverty line, and that number rises a little bit more every single day. America was once known as the greatest nation on earth, but now there is decay and economic despair almost everywhere you look. Yes, money certainly cannot buy happiness, but the lack of it sure can bring a lot of pain. As the economy continues to decline, the suffering that we see all around us is going to get a lot worse, and that is a very frightening thing to think about. Wasn't that video absolutely mind blowing? Those of us that still live comfortably are often completely unaware of what life is like out on the streets of America at this point. There are millions upon millions of Americans that have lost all hope and that are living on the very edge of life and death. And more join the ranks of the hopeless with each passing day. This upcoming weekend approximately 80,000 people in the state of Michigan will lose their unemployment benefits. So what are those people going to do after that? They have already been unable to find work month after month. Their savings are most certainly gone. Now the only money they had coming in is going to be eliminated. Yes, I have written many times about how the U.S. government is absolutely drowning in debt and cannot afford to be giving out so much money. My point here is to show the other side of the equation. There are millions upon millions of Americans that are barely hanging on and there are no jobs for them. The suffering that those families are going through is very real. Millions of other families are trying to get by on the incomes they pull in from part-time jobs. According to Gallup, the percentage of Americans that are working part-time jobs but that would like full-time jobs is now higher than it has been at any other time in the last two years. 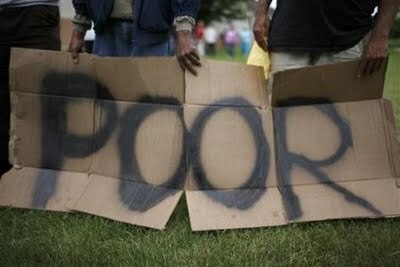 The number of the "working poor" just continues to increase, but most Americans don't have much sympathy for them because they "have jobs". Well, when you are making 8 bucks an hour it can be incredibly tough to make it from month to month. Just look at how much it costs to buy the basic things that we need. Without gasoline, most of us would not even be able to get to our jobs. The price of gasoline has increased 83 percent since Barack Obama first took office, and it is poised to soar even higher. Right now, the average price of a gallon of gasoline in the United States is $3.51. Never before has the average price of gas gone above $3.50 so early in the year. Many believe that we could set a new all-time record this summer. But last year was bad enough. In 2011, the average American family spent over $4,000 on gasoline. So when you are making just a few hundred dollars per week, it can be a massive struggle just to put gas in your car and food on the table. The article that I wrote the other day about the decline of Detroit really struck a nerve. All over America, people can see similar things happening to their own neighborhoods. People are scared and they want some answers. Well, the truth is that we should have never allowed tens of thousands of businesses, millions of jobs and trillions of dollars of our national wealth to be shipped out of the country. Just check out this stunning photo which compares the decline of Detroit to the rise of Shanghai, China. Do you think that it is just a coincidence that Detroit is falling apart and that cities in China look sparkly and new? No, the truth is that it is a natural consequence of our foolish economic policies. Crime and gangs are widespread. Most houses have either fallen into disrepair, or been remade with outside walls sporting spikes and ironwork. Many of the front lawns are now just dirt (or worse, gravel), the pools green and lethal. Now we stand on the precipice of another major global financial crisis. Economic conditions in America are going to become significantly worse. The politicians in Washington D.C. may make sure that the boys and girls on Wall Street are always taken care of, but there will be no bailouts for the large numbers of Americans that are about to lose their jobs and their homes. If you want an idea of what is coming, just look at what is happening in Greece. 25 percent of the businesses have shut down, one-third of all money has been pulled out of Greek bank accounts and unemployment and poverty are absolutely rampant. For years, a lot of prominent voices out there were screaming and yelling about the dangers posed by our soaring trade deficits and our soaring budget deficits. But the American people did not listen. They just kept sending the same politicians back to Washington D.C. over and over. As a result, soon millions of those same Americans will find themselves doing things that they never dreamed that they would do just to survive.